At last it is time for ticket release to this year's photo challenge! On Saturday, January 26 at 10:00 am, we will release the tickets to this year's Stockholm Fotomaraton 2019. Who gets the hot coveted start number 1 ?! Is it you? Invest 24 (or 12) hours to allow creativity to flow and develop your vision. Join us for a playful competition for ALL photo lovers! There is one in place exhibition with many of the winners from 2018 year's Stockholm Fotomaraton. Come and see! At 11 o'clock we start the week Stockholm by Camera as we start at 11:00 at Downtown Camper by Scandic. Then we spread out or go to the squad to collect the best photo of the week's theme. A good warm-up is taking place every weekend to keep the shape up for this year's big photo challenge - Stockholm Fotomaraton. We invite coffee and mingle. Meet other participants and mingle with us who arranges Stockholm Fotomaraton. What questions and suggestions do you have? So far, we have good opportunities to capture good ideas. This year's launch event obviously has one Facebook Event, join and don't forget to invite your friends. The more the merrier! At 18 o'clock the doors close. Then we will release the registration Fotomaratonsverige.se. 24 hours - The classic! For 24 hours, you meet like-minded people and challenge your creativity. 12 hours - The half-marble we call it. An opportunity for even those who do not have the energy or want to be active 24 hours to participate in this year's most fun photo challenge. In the coming months, we will launch many more fun things about this year's Fotomaraton. Stockholm Fotomaraton challenged Sweden's photographers to take 24 pictures in 24 hours the first time in 1986. Since then we have worked hard to create what is now Scandinavias biggest photomarathon. A place where you, who loves photography can challange your self and your creativity along like minded people. 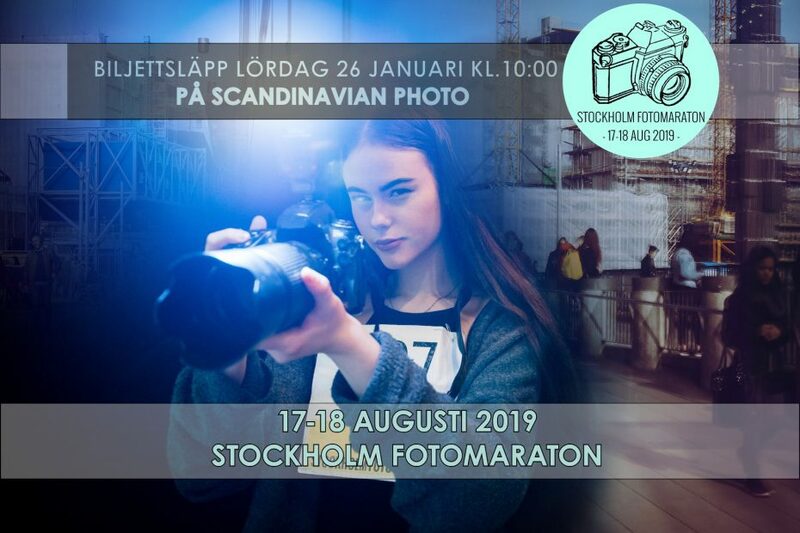 Stockholm Photomarathon takes place in late august and every year, hundreds of photographers gather in Stockholm to take on the challange and have fun together!